One DOF robotic arm controlled with MS Kinect. One DOF Robotic Arm Controlled Using MS Kinect. As part of our first robotics course called Kinematics of Robots we are going to build a one DOF (Degree of Freedom) robotic arm that moves according to the movement of our hands which must be sensed using the MS Kinect technology. Also we will independently build a three DOF model of another robotic arm simulated using Processing or MatLAB and I hopefully will build it if time helps me (which I seriously doubt but still...). First thing to do is to install and setup all the applications needed to start working. For this we will install both the MatLAB and Processing applications. MatLAB is "a high-level language and interactive environment for numerical computation, visualization and programming." Its a highly interactive application that although its not to my liking its extremely powerful to build and simulate control systems and has a wide variety of tools that make it practical for most engineering applications, particularly in labs. So the first thing to do is to download or buy a copy of the MatLAB software and make click on setup. Then you either install using the Internet or without the Internet. In my case as I have no connection, I chose Install Without Using the Internet. It will show the License Agreement with which you must agree. Afterwards it will ask wether a custom or personalized installation. I chose custom but had nothing to modify, just click NEXT until you get the installation bar. Once the installation is finished (it takes about 40 minutes on a 3GB RAM computer or more, its pretty heavy...) it will create the icons and directories on the Desktop. If everything went fine and you make click on the application's icon it should give you something like the image on the left. "Processing is an open source programming language and integrated development environment (IDE) built for the electronic arts and visual design communities". It started off as a "toned down" version of Java that could be used to teach children and non-programmers to build applications quickly and easily but it has developed to become a high end open tool useful for video and audio processing along with getting lots of tools and libraries for many popular subjects like Arduino (another one of my favorites) and network interaction. On this project we'll use Processing to interact with the MS Kinect and pass the information to MatLAB to calculate the trajectories needed for our robot. 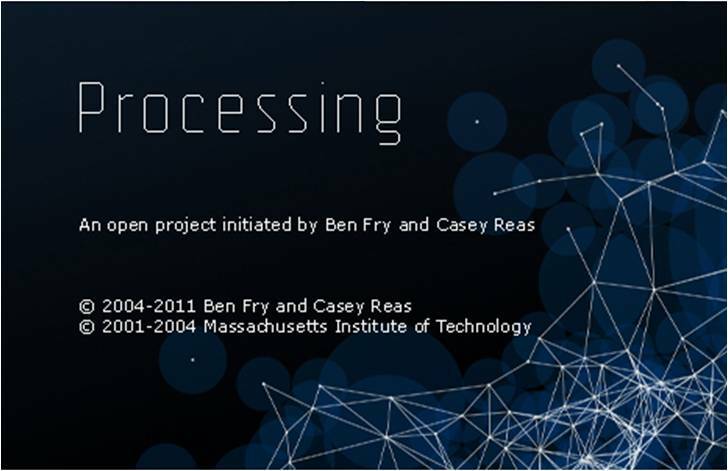 First you must download Processing from its official page Processing.org. 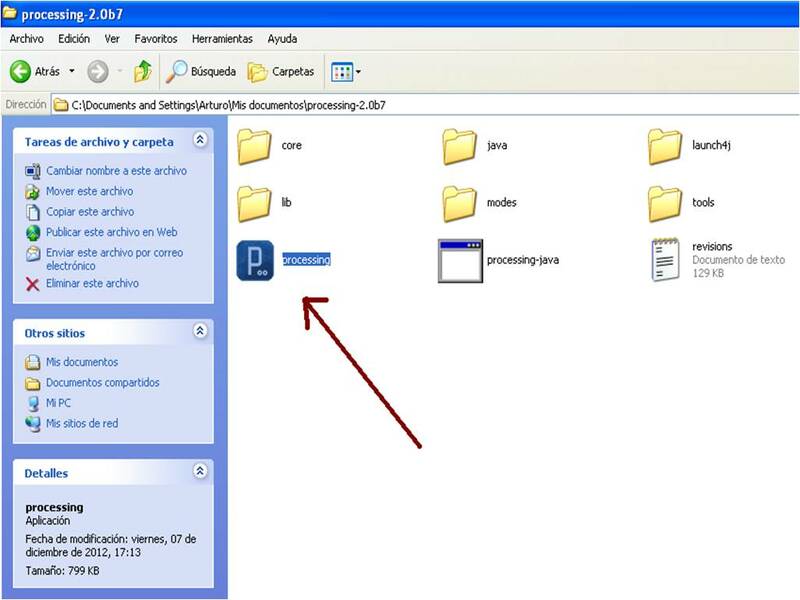 Once its finished you must uncompress it and put it on an easy to access directory, in my case for example I put it on MyDocuments. Now you only need to enter the processing folder on the directory it is located and make double click on the processing icon amd voila! It will start the application without a required installation (yeah, its that good).